Ashley Cole is not expecting special treatment at Derby from his former Chelsea team-mate and now boss Frank Lampard. Check out all the best of today's transfer rumours from the world of football. Former Arsenal and Chelsea defender Ashley Cole has been released by the Los Angeles Galaxy, the Major League Soccer club have announced. The 37-year-old is one of eight players to leave the club after they decided not to exercise the option of a contract extension for next season. Cole joined the Galaxy in 2016 and was made captain earlier this year. He scored three goals in 86 appearances for the club. Meanwhile Zlatan Ibrahimovic is on the club's list of retained players for next season, despite reports linking him with a return to Europe. AC Milan are reportedly close to sealing a deal with the Swedish star, which may take the form of an initial six-month loan deal prior to a permanent transfer. Former England defender Ashley Cole has left Roma after his contract was terminated by mutual consent, with a move to the United States expected to follow. The 35-year-old former Chelsea and Arsenal full-back made 16 appearances for the Serie A club after joining on a two-year deal as a free agent in July 2014, but had not appeared since a 0-0 league draw at Chievo in March last year. A statement on Roma's official website, www.asroma.com, said: "AS Roma can today confirm that Ashley Cole's contract has been terminated by mutual consent. "The 35-year-old English defender joined Roma in July 2014 following spells with Crystal Palace, Arsenal and Chelsea. "After making his Giallorossi debut on 30 August 2014 in Roma's 2-0 opening day victory over Fiorentina, Cole went on to make a total of 11 appearances in Serie A and a further five in the Coppa Italia and the Champions League. "The club would like to thank Cole for his commitment during his stay in Rome and wish him the very best for his future career." Cole, who has almost 600 club appearances to his name as well as 107 England caps, has been linked with a move to join former England team-mate Steven Gerrard with the LA Galaxy in Major League Soccer. 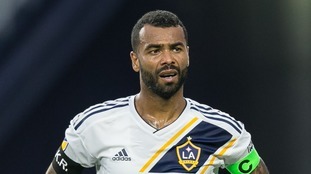 Ashley Cole is not certain to move from Roma to LA Galaxy, despite an official from the American club being quoted as saying a deal was "close". A formal announcement regarding the arrival of the former England international was said to be on the cards, according to an unnamed Galaxy official quoted in the Los Angeles Times. Galaxy coach and general manager Bruce Arena also added fuel to the fire by confirming he was in the process of strengthening the club's squad. "I would anticipate that we'll add three or four players to our roster," Arena said. Sources close to defender Cole insist that a possible transfer to Major League Soccer is simply one of "two or three options", one of which includes staying in Rome, where Cole is understood to be enjoying life. Ashley Cole has been left out of Roma's 21-man squad list for the Champions League. The 34-year-old left-back had been linked with a return to the Premier League this summer after a difficult first season at Roma. Cole made just 14 starts in all competitions for the Giallorossi in 2014-15 and the former Arsenal and Chelsea defender is unlikely to be given much playing time this season. Roma coach Rudi Garcia has included summer signing Lucas Digne in his selection for Europe's elite club competition. The France international joined Roma on a season-long loan from Paris Saint-Germain last week and plays in Cole's role. But I will never forget my times at arsenal and the amazing achievements I accomplished there with great people ?? Cole formed part of the Arsenal team who famously won the 2003/04 title without losing any games, an achievement which has never been matched in the Premier League era. But the full back moved to rivals Chelsea under a cloud of controversy. He was caught secretly meeting Blues boss Jose Mourinho at a London restaurant while still under contract with Arsenal, and later expressed his disgust at the Gunners' offer of a new contract. 'Invincible: Inside Arsenal's Unbeaten 2003-2004 Season' by Amy Lawrence was released in October last year. Arsenal boss Arsene Wenger admits that letting Ashley Cole leave the club is one of the biggest regrets of his career. In a new book based on Arsenal's unbeatable Premier League season in 2003-4, 'Invincible' by Observer journalist Amy Lawrence, Wenger says that Cole left the club on a 'misunderstanding'. Commenting on Cole's subsequent departure to Chelsea, Wenger says: "[Cole leaving was] A regret of my career. He left on a misunderstanding between his agent and the club. "A fantastic fighter as well. The rest of his career has shown how big a player he is. It should have been here." Wenger also said star striker Thierry Henry was "Usain Bolt with a top football talent".